Road trip honeymoons are all the rage. So we thought we’d get blogger and roadtrip expert Hannah Sierp of Fifty States One Day to tell us all about why she chose a roadtrip honeymoon, and why she’s been roadtripping ever since. 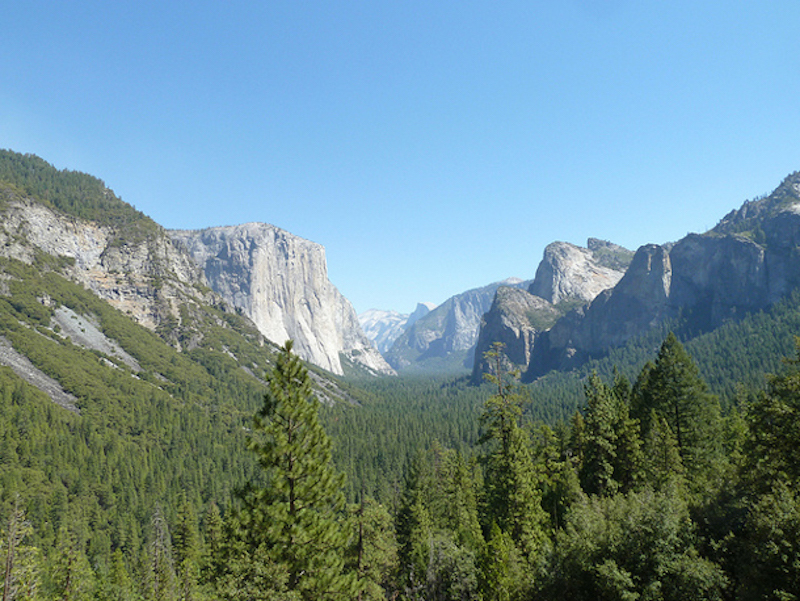 When it came to planning our honeymoon there was only ever one option for my husband Josh and I – a USA roadtrip. After driving around New England leaf-peeping and chowing down on fresh and tasty lobster the year we got engaged, then listening to the best blues, jazz and country music in the Deep South the following year we knew we wanted to hit the open road and explore another corner of America. Because the USA is vast – in the fifty states there are nearly 4 million miles of road, 316 million people, at least 17,500 museums, 58 national parks and countless restaurants and diners – we weren’t ever going to be short of a thing or two to do! After much debate we decided to go West. We flew into Las Vegas for a couple of nights of debauchery, took in some incredible natural wonders including the Grand Canyon, Monument Valley, Yellowstone and Yosemite, and some really fun cities like Seattle, Salt Lake City and Portland before flying home from San Francisco. In this three week trip we travelled 5,000 miles – equivalent to driving all the way to India from London – and visited 9 diverse and beautiful states. We spent 80 hours in the car together…it’s lucky we get on. Our honeymoon was absolutely incredible. It included firing guns and necking jello shots in Las Vegas, the gobsmacking beauty of the Grand Canyon especially at sunrise and sunset and spotting burping geysers and bumbling bison in Yellowstone National Park. 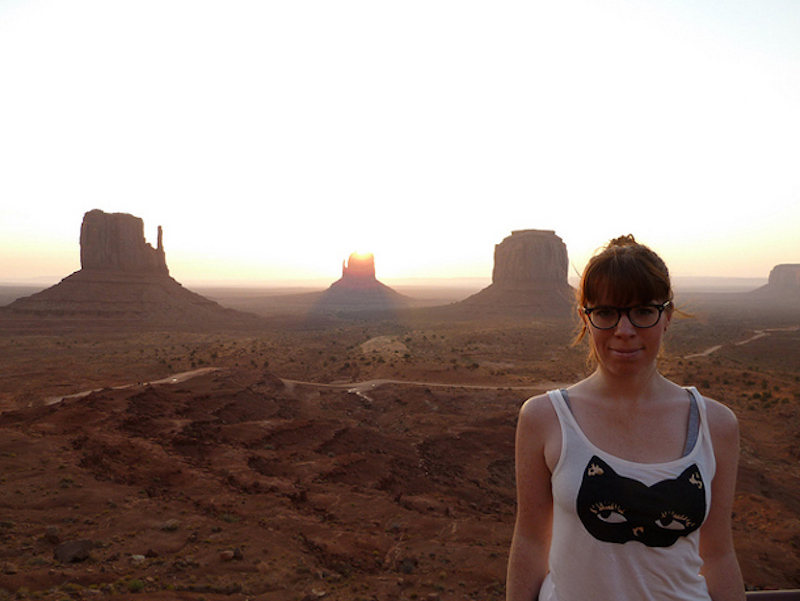 We felt like cowboys as we gazed across Monument Valley. In Seattle we went to our first-ever ball-game and up the Space Needle for cracking views of the city. We went to the restaurant where Bella from Twilight went on her first-date with Edward in Forks – I even ordered the same meal as Bella, dorky I know! Josh ate a maple-and-bacon donut for breakfast at Voodoo donuts in Portland where we also slept in a former high-school. We drove through a tree. Yes, an actual tree in Northern California – even though we were in a GIANT American 4×4 – and somehow we didn’t get stuck. We cycled across the Golden Gate Bridge and saw seals frolicking in the water below. We got drunk at a tiki-bar and went to a dimly-lit prohibition bar in San Francisco where you needed a secret password to get in. We saw Willie Nelson play live and hoped we’d be as flipping cool as he is when we’re in our eighties; actually we’d like to be that cool now. We visited a ghost-town in the California desert where the inhabitants just left in the early nineteenth century after the gold rush. It was deserted with spooky dilapidated churches and we tried (and failed) not to be too scared. 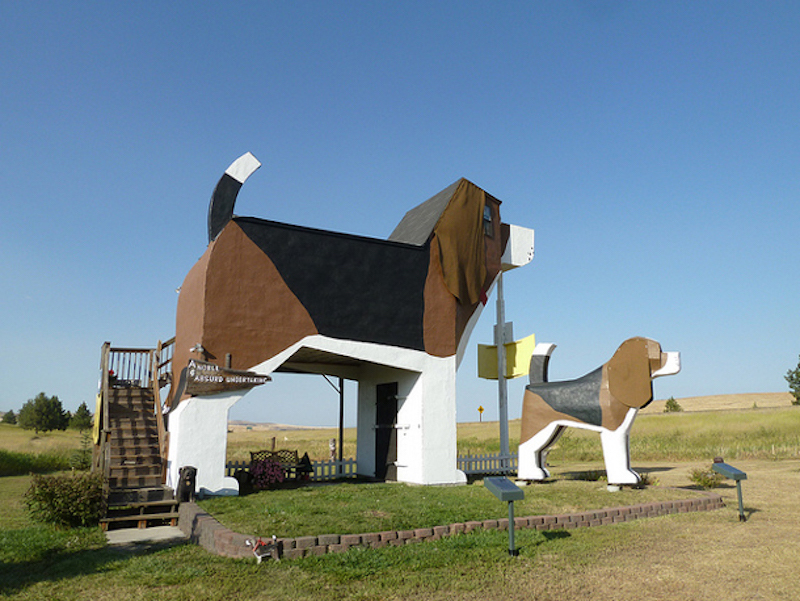 Oh and we slept in a giant beagle. That’s right. 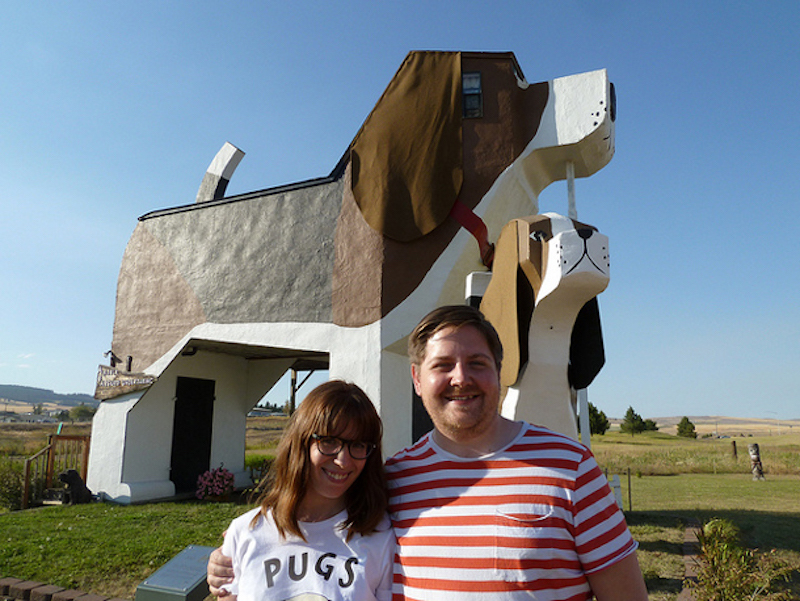 We spent a night sleeping in a wonderful, absurd giant wooden beagle located in Cottonwood, Idaho. 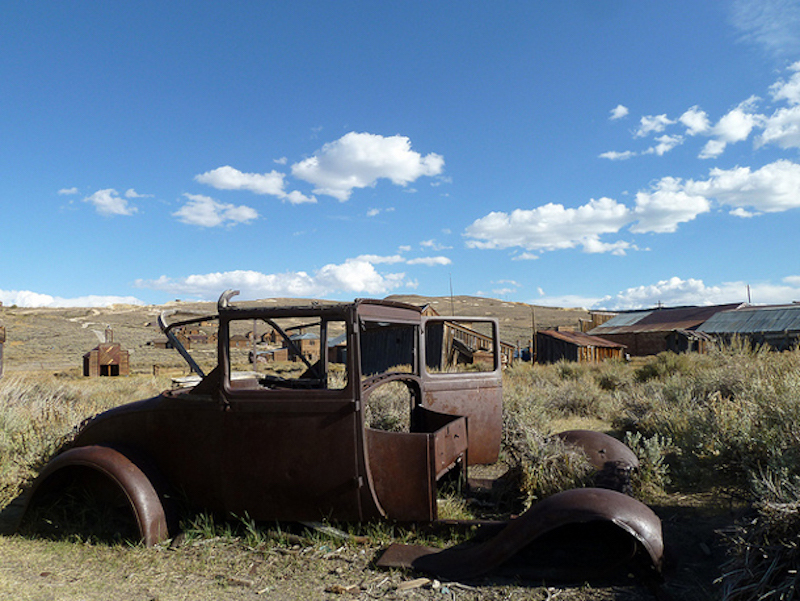 American roadtrips are wonderful for those who love the quirky and offbeat. 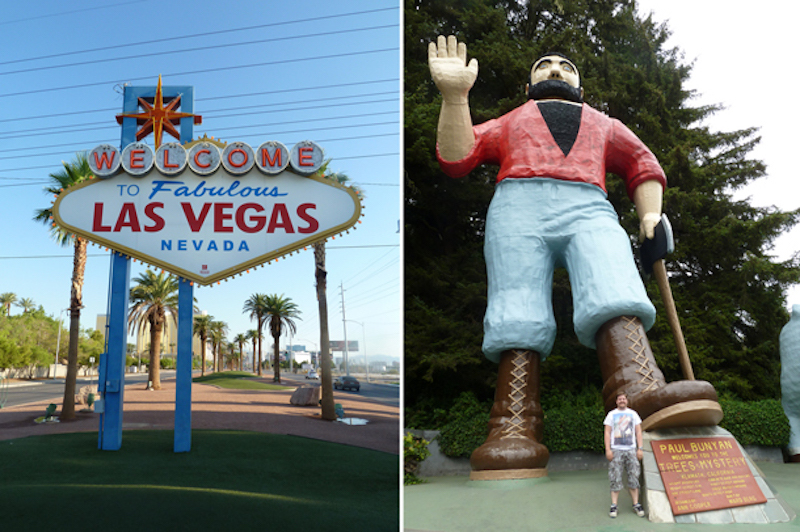 During our travels we’ve spotted a giant blue whale off Route 66, the world’s largest basket, a “troll” living under a bridge in Seattle and across the states there are statues of a massive lumberjack called Paul Bunyan who is often portrayed hanging out with a blue ox called Babe. On the USA roadtrip we have planned for this year we’ll see the incredible presidential carvings on Mount Rushmore, the world’s largest six-pack of beer and South Dakota’s a-maize-ing Corn Palace. If you’re thinking of a USA roadtrip for your honeymoon we would heartily say “Yeehaw!” Think about how long you’ve got for your trip, how much you can budget, and the kinds of activities you really love. Be realistic about the kind of traveller you are – do you like to get up every day at the crack of dawn (that’d be us) or have a leisurely brunch? Do you like to spend a while in one place or change your base often? How long could you spend travelling every day or week without getting tired or bored? Do you like late nights and dive bars (that would be us again – burning the candles at both ends!) or relaxing suppers and the theatre? Do you prefer cities or small towns, forests, plains or beaches? There can be roadtrips where you can sample all of this very easily! And don’t forget the time zones – especially if you’re travelling back to catch a flight. Josh and I are now crazy about USA-roadtrips. 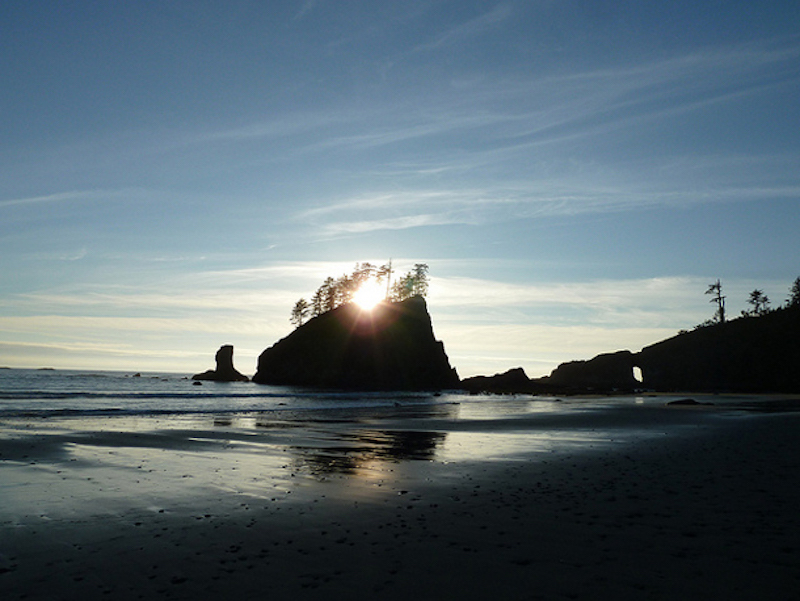 We have an ambition to visit each and every state, and chronicle our adventures on our blog. This post about how to plan a USA roadtrip might be helpful and you’re always welcome to tweet us at @50States1Day if you have any logistical questions or want any tips. Our best advice would be to download a good podcast, make a brilliant roadtrip playlist or two, buy some snacks for the car and hit the open road… amazing times await you! Thank you so much for sharing this with us, Hannah. If this post has inspired you to plan your own honeymoon, you can customise one of our readymade patchworks here, or create your own from scratch.